Euthanasia Prevention Coalition Euthanasia Prevention Coalition: Letter to Connecticut Committee concerning assisted suicide bill. Letter to Connecticut Committee concerning assisted suicide bill. 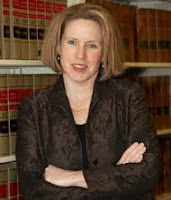 Message from Washington State lawyer, Margaret Dore, to members of the Connecticut Public Health Committee. Note: The Connecticut committee accepts email testimony at: phtestimony@cga.ct.gov. The Act legalizes “aid in dying,” a traditional euphemism for active euthanasia and physician-assisted suicide. 2. Who May Be Most at at Risk? The person signing the qualified patient's death certificate shall list the underlying terminal illness as the cause of death. (Emphasis added). With this language, the patient’s death certificate will report death due to a terminal illness as a matter of law. This will create a legal inability to prosecute criminal behavior, for example, in the case of an outright murder for the money. The Act will create a perfect crime. According to a subsequent article in 2015, proposed reforms included having a medical examiner review death certificates, so as to improve patient safety. Instead, the instant bill moves in the opposite direction to require legal coverup as a matter of law. Doctors and other perpetrators, such as family members, will be legally empowered to evade investigation. Generally accepted medical practice allows a doctor, or a person acting under the direction of a doctor, to administer medication. With the lethal dose defined as “medication,” other people are allowed to administer the lethal dose to the patient, which is euthanasia. The Act applies to persons with a terminal illness, which is expected to produce a patient’s death “within six months.” Oregon’s law has a similar criteria, which is interpreted to include chronic conditions such as diabetes mellitus, better known as diabetes. This is because the six months to live is determined without treatment. With treatment (insulin), such persons can have years or decades to live. See the bill, section 1. (19) , lines 76 to 79.